The National Clean Air Programme aims to reduce the concentration of PM2.5 and PM10 by 20-30 per cent over the 2017 annual average levels by 2014. “You all know pollution is a very serious problem, not just for Delhi, and the rest of the country but the whole world,” Vardhan said after launching the programme. Initially, the NCAP will be rolled out across 102 cities where particulate matter has been consistently high over five years. The programme aims to reduce the concentration of PM2.5 (fine, respirable pollution particles) and PM10 (coarse pollution particles) by 20-30 per cent over the 2017 annual average levels by 2014. The draft NCAP was released in April last year but came under criticism for not setting up any goals or schedule to reduce air pollution. Later, the Ministry of Environment, Forest and Climate Change (MoEF) set a target to cut down PM levels by 30 per cent in five years. 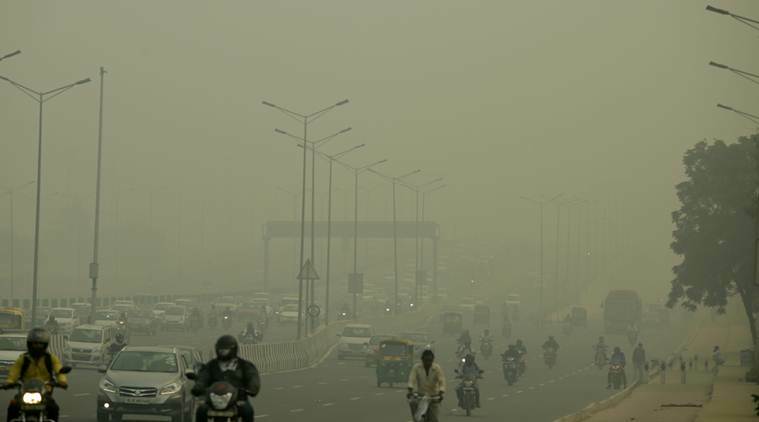 For example, in Delhi, the annual average PM2.5 and PM10 concentrations in 2017 was 124 micrograms per cubic metre and 266 micrograms per cubic metre respectively. It will have to be brought down to 99 micrograms for PM2.5 and 212 for PM10, according to the NCAP. Besides strategies to reduce air pollution concentration, pollution monitoring networks will be enhanced and activities will be put in place to improve awareness. The NCAP is expected to cost the government Rs 637 crore. The NCAP will focus on collaborative and participatory approach covering all sources of pollution and coordination between relevant Central ministries, state governments, local bodies and other stakeholders. The estimates show that India, with 18 per cent of the global population, has a disproportionately high 26 per cent of the global premature deaths and disease burden due to air pollution. Over half of the 12.4 lakh deaths in India attributable to air pollution in 2017 were in persons younger than 70 years.